Global government’s vendetta against Fixed Odds gaming machines continues but this time in Finland. The National Health Institute in the country has published a report recommending the complete removal of these terminals from supermarkets across the entire country. The institute believes the removal of these machines would reduce the rates of gambling addiction in the country. Citing their neighbour Norway as an example, they noted that the country removed all fixed odds betting terminals and saw a marked reduction in gambling addiction rates. All of these gaming machines in Finland are run by Veikkaus who are a state run entity. Naturally they objected to these suggestions. 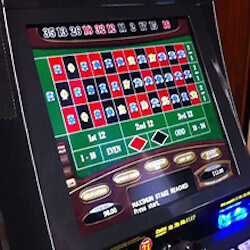 The health institute also suggested that the machines should have a wager limit enforced which would prevent problem gamblers from losing lots of money. They also suggested that these limits could potentially be made valid to individual players for certain periods of time to prevent a spur of the moment problem gambling incident in many players. Another suggestion is that the gambling machines be removed from places where alcohol is served which research suggest greatly enhances problem gambling in many people. The research institute provided their report and findings to the Minister of Family Affairs and Social Services, Annika Saarikko along with current problem gambling statistics. Quite interestingly the institute also found that 66% of players approve the current gaming regulations in the country. There were lots of debate when the state run monopoly was first implemented as a way to safely bring legal gambling to the country and up to date, the state has done a great job. Members of the public have noted however that underage gambling has gone up recently with an increase of 4% compared to 2016. Currently the same battle is being fought in the UK. Members of the public are concerned about increase in child gambling as well as the impact of fixed odds betting terminals on public health and safety. The UK does not have a state run monopoly so the impact of the Fixed Odds betting terminals are very far reaching as they affect private businesses and employees lively hoods. Finland is also feeling pressure from the EU to alter their gaming regulations to be more in line with the EU’s regulations which would open up the country to competition and private gaming entities which the country is actively trying to avoid.